Sound system was improved with less echoes and there was more clarity in hearing. If there is any project that we are very interested in, it will be reaching out and touching lives. Canossaville Children’s Home is definitely a project close to our heart as the benefits go out to the students and teaching staff alike. 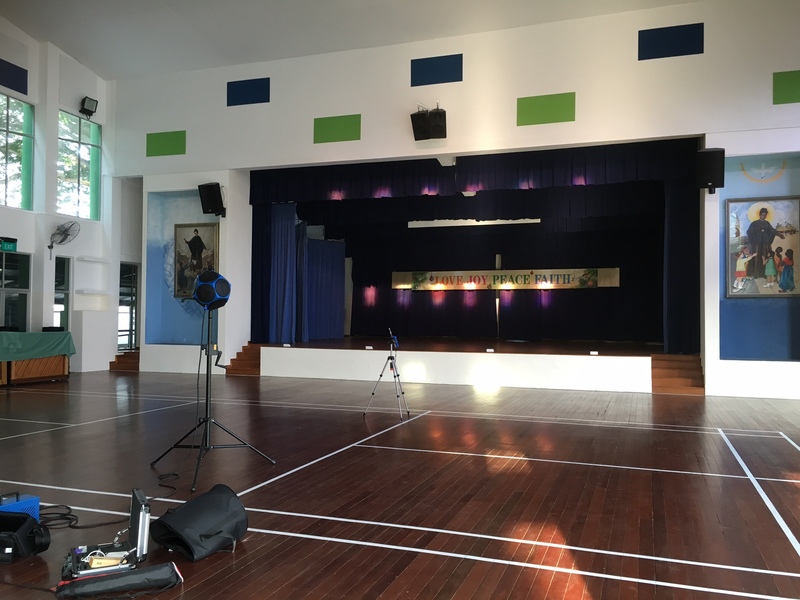 Soundzipper was called upon by Agnes from this charitable organisation as part of a multi-million dollar facelift to raise a new generation of children at the Canossian Children’s Home. One such area of improvement was to improve the performance of the sound in crucial spaces such as the multi-purpose hall. Issues: The large multi-purpose hall had an intense “Echo-ey” effect that had a 2 second reverberation time which amplified noises from the microphone while educators or staff were giving announcements or instructions to students. While there were many activities happening at the same time, many volunteers come and go in aid of providing concern. The areas of consultation in Canossaville Children’s Home consisted of the treatment to the ceiling and the top half of the wall. The saviour for the dreadful sound was the usage of acoustic foam panels to prevent the sound from bouncing off the surfaces. The power of the acoustic foam was able to reduce the reverberation time from 2.7 seconds down to 1.6 seconds eliminating the echoes and managing the frequencies appropriately. While a nice creamy white flavour was added to the ceilings, other shades of blue and green were added to match the school corporate colours. Our client faced sound leakages from other parts of their office which affected the privacy in conversation. 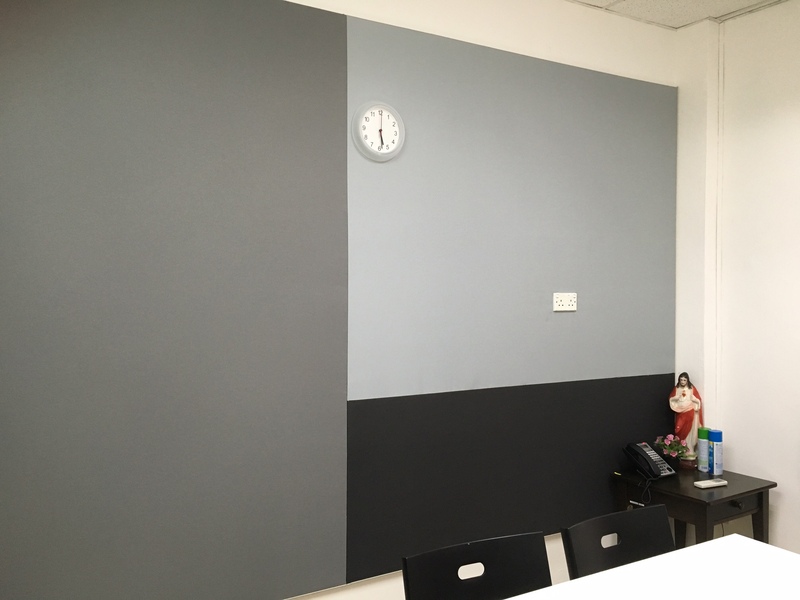 Soundzipper responded by adding soundproofing materials to the wall and an acoustic feature wall to allow for more quiet time in the room. The was a significant difference as there was a reduction in noise leakage from other parts of the room. Acoustic Consultants: Kathryn Cheng, Johnny Lee and Forrester Jr.